We all know that golfers can be passionate about their sport. 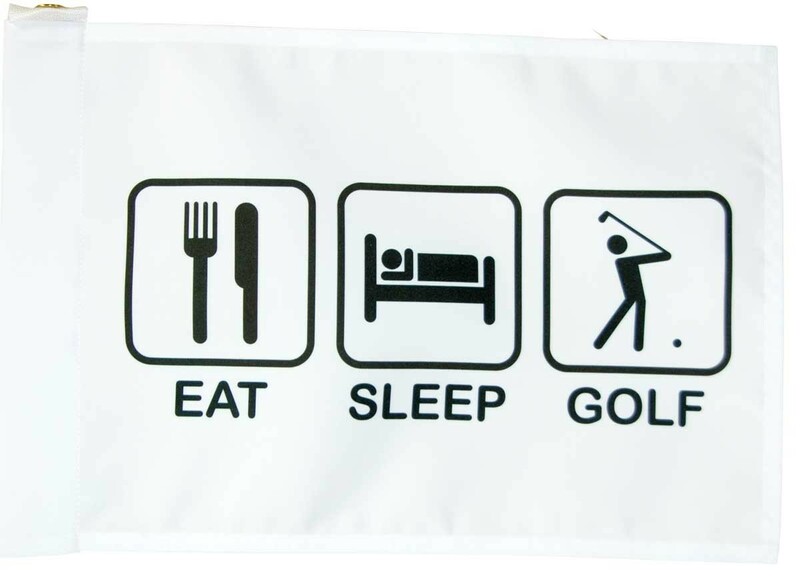 But for those that are true die-hards the Eat, Sleep, Golf golf flag is a perfect gift. The tube style Insert flag is designed to slip over the top of a standard 7-foot golf pin. The flag is regulation size: 14 inches X 20 inches.